A fast-paced game of soccer would be impossible without soccer goals. They come in many shapes and sizes to suit all levels of play, which can make choosing one a little difficult. Before you shop for a soccer goal, identify what type, what to look for, and what you're willing to spend on it. Then see us at Epic Sports for the best deal possible! We're here to help you meet your soccer goals. Identify your need. Are you starting a youth league? Coaching high school soccer and looking to upgrade your full-size goals? Or just need a practice soccer goal for your backyard. Determining your need will help narrow down your choices. Next, select what type of soccer goal system will best suit you. Whether you go portable or permanent, soccer goals come in a variety of shapes, sizes, materials and accessories. Set your budget. Soccer goals come in a wide range of prices. 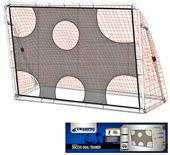 A heavy-duty tournament soccer goal system will cost a lot more than a portable soccer goal for kids. In-ground soccer goals are very heavy and feature upright poles permanently cemented into the ground. Professional goals are typically this type. Permanent soccer goal frames are not meant to be moved, but the net can be removed and stored when not in use. 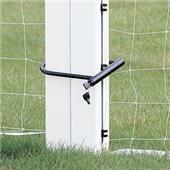 Semi-permanent soccer goals are secured to the ground but are able to be removed from their ground sleeves and stored. Portable soccer goals are lightweight frames and nets that can be dismantled, folded, or collapsed and are typically made of a type of plastic. Pop-up goals are great for backyard play. No-depth - Typical of a more lightweight portable soccer goal, this style features a net descending from the crossbar at a straight 45-degree angle, and either staked to the ground or secured to the ground bar. With depth - This type of goal features a net that extends straight back from the crossbar parallel to the ground, about two feet before descending to meet the ground frame at an angle, giving the goalie a little more room inside the net to move around. A heavier, stabler goal, but still able to be moved. Box - This goal as the name suggests is a large, rectangular frame featuring 90-degree corner angles. The net extends straight back from the crossbar and drops straight down to the ground. Designed to be permanent, it is the heaviest and therefore sturdiest type of soccer goal and is used in upper level and professional leagues. Metal - In-ground regulation soccer goals are typically made of either steel or aluminum, and tend to be quite heavy - weighing up to 400 pounds. Permanent metal goals are very solid and are not designed to be moved around the soccer field. Plastic - Portable soccer goals are often made of PVC plastic making them durable but very light, and can be moved easily around the field. Plastic goals come in all sizes. 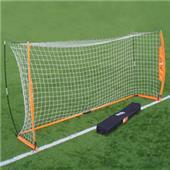 Sizes - Soccer goals are sized to suit particular league requirements and levels of play. Combination soccer goals are full-size goals that feature field goal extensions so units can double as both football and soccer goals. Accessories - Soccer goals consist of a soccer net, fasteners, anchors, stakes, corners and other parts, depending on the type of goal. Many goals are sold as complete systems. 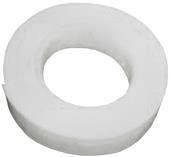 If a goal is without accessories, parts will need to be purchased separately. Nets cover the sides and back of the goal in order to contain a ball that enters the goal. Nets are available in a range of sizes. The goal's shape and size will determine the net size. Quality of netting depends on materials, thickness, durability, and size of the mesh. Materials - Nets are made from a synthetic nylon called polyethylene, and thermoplastic fibers, able to withstand weather and rigorous playing conditions. Cord types - There are three main kinds of cord used to make nets: twisted, braided, and knot-less. 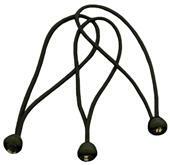 Twisted is the most commonly sold type and is both strong and flexible. Braided is considered strongest. Knot-less is a thicker strain of cord that is neither twisted nor braided. Thickness - Cords come in a range of thickness. 3mm is a good medium density, but 4.5 mm is considered the strongest. Sizes - Nets are sized to fit the frame. 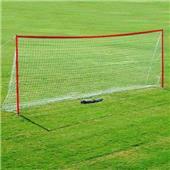 Sizes range from the standard official soccer net is 8 feet by 24 feet. Sizes vary from 3 feet high 4 feet wide, up to full size. While it's possible to use oversize netting, using the correct size will ensure a secure fit without a lot of excess material to contend with. Mesh - The holes in the net vary in size. Smaller mesh is considered safer for children. 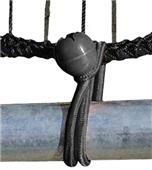 Soccer net fasteners - Clips, bars, or strips secure the soccer net to the frame. Soccer goal anchors - Stakes and other anchors secure a goal to the ground. Price - Depending on the type of soccer goal, size, quality of the net and other accessories, goals can run anywhere from under $30, to a few hundred, to several thousands of dollars. There is a huge difference between what you might pay for a simple lightweight portable system, and a permanent high-end goal. Our official, safety-approved soccer goals are priced to save you up to 60 percent or more off what you might expect to pay at retail, which can mean a huge chunk of savings for your school, club, or league. What's included in a soccer goal system? 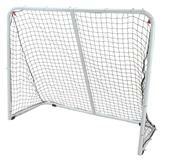 Buying a goal as a complete system ensures that nets fit frames, and parts are compatible. Since every system is a little different, some parts may need to be bought separately. Complete outdoor installation systems generally include frame (uprights, crossbar, back stays, ground bar), net, net fasteners, ground anchors, corners and bases, hardware, and portable wheel kits (if applicable). 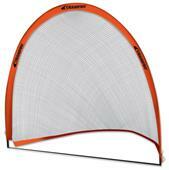 A portable soccer goal typically comes with the frame, net, fasteners, stakes, poles, and a carry bag. Which goal is best for kids? It depends on their skill level and whether it will be used for games, training, or recreation. Kids ages 12 and up use full-size goals. Ages 8 to 11 generally fit U9 to U11, and children ages 6 to 7 should fit a U7 to U8 goal. U6 is for the youngest players. 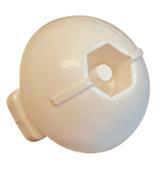 Make sure your system is safe and durable, and fastens securely to the ground. Small mesh nets are considered safest for little kids. Kids love pop-up goals; they're light, fun, and easy to set up. How large is a standard soccer goal? A full size regulation soccer goal is 8 feet high by 24 feet wide. Can I make my own soccer goal? Yes. PVC works very well for making your own soccer goal, but metal pipes and wood can work too. There are a few things to consider when choosing whether to build or buy a soccer goal system. The big advantage of course is saving money, and it's a great way to reuse materials sitting around in your garage or shed. The disadvantages are having to customize the net and purchase separate parts. And then your goal may not be as portable, or safe as one you purchase from a store. Many mishaps are caused by homemade soccer goals that are poorly balanced or just not solid. What's the best backyard soccer goal? There are many great backyard goals systems, it depends on what you want. If you have young children who just want to get outside and kick a soccer ball around, a simple lightweight pop-up goal is perfect. If your kids are in a league and want to reinforce their skills using a regulation-size net, you might want a portable system that stays in place during the warm months and stows away for the winter. How do I know which soccer net will fit my goal? The size of your goal will dictate what size net you need. If you're purchasing your net separately, or are looking to replace your net, your goal's dimensions should match those of your net. How often should I replace my soccer net? With normal use, expect to replace a regulation soccer goal net about every two years, possibly sooner. Periodically check your net for signs of wear. How do I install my soccer goal? 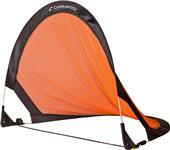 There are many different types of goals, from lightweight collapsible to 400-pound in-ground goals. Carefully follow the instructions that come with your system. Whether it's a permanent or portable goal, your main installation objectives will be correctly securing the net and stabilizing the goal to prevent accidents or injury. Goals need to be secured to the ground in order to prevent injury. An unstable soccer goal can accidentally tip over during the game by the ball, high winds, or other incidents. Even 'no-tip' or tip-resistant goals need to be anchored properly. Look for goal systems that are safety-approved and have proper warning labels. Goals can be anchored using stakes and augers, and sometimes weights or sand bags are attached to the frame for extra security. 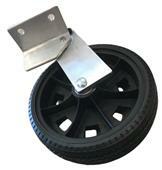 Semi-permanent stakes should be driven 10 inches into the ground; permanent soccer goal bases about 36 inches. Nets are sized to fit the goal. Attachments can include clips, ties, hooks and straps. How do I take care of my soccer goal? Proper care can extend the life of your goal, and ensure that it performs as designed. Soccer goals are integral to a game of soccer. There are many types, and choosing the right one can be daunting. Hopefully this information will help get you started. Whether you're looking to go portable or make a major investment, identifying your need and understanding what types of soccer goals are out there before you begin to shop, can mean a big return in the long run. Before your team heads for the games, check out the leading authorities on discount soccer goals, balls, jerseys, unique gifts, training DVDs, soccer supplies, and more. Find out how you can receive additional savings when you shop our online sporting goods store by joining our affiliate program where you post a link from your website to ours, and we do all the rest. You can even turn your earnings into gold points for an added bonus. With all the top brands to choose from, we're guaranteeing selection may not always be easy. But you can be sure to get the perfect deal. At Epic you'll experience timely, helpful customer service, and top quality brands. Saving you money on quality goods and services is our goal, so that all you have to worry about is the score.